No matter what aspect of the car buying process you’re in, at some point you’ll need to purchase a vehicle with a financing option. It may not be all glitter and gold, but at Nalley Toyota Union City we specialize in careful planning and helpful financing at affordable rates to you. 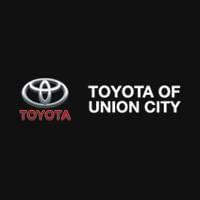 You are in good hands with the financing staff at Toyota Union City. Financing your vehicle is always a smart decision. There are many benefits outside of the immediate cost savings and accrued credit score. Unburden yourself; our finance experts at Nalley Toyota Union City will work with you to find the financial and responsible plan of payment to secure your car and your wallet in safe payments. We all want in to be smart with our money. Nalley Toyota Union City will help you do exactly that. Call now to discuss your options with one of our professionals. One of the best ways to save is a trade-in. There are a multitude of choices when shopping and a large amount of financing options, too. All of this can be simplified for you before you even walk in the door. You can check your trade-in value online, apply for financing, or look at the payment calculator based on your preferences and qualifications. Applying for financing is easy with our online tools, but our personal staff is always ready to answer your calls and walk-ins. Our staff is highly skilled and trained to provide you with peace of mind and quiet enjoyment on your vehicle as soon as possible. At Nalley Toyota Union City, we are professional grade with high customer satisfaction. We know that financing can be a pesky business. Trust us with your car, truck, or SUV financing and you won’t be sorry. We go to great lengths to fit all customer needs, which is why we have a higher approval rating than most dealers in the area. We work with all credit issues – from poor credit to divorce, we have your back covered. We know that life can throw you for a ride, we want to make that ride smoother with feasible and timely financing avenues for you to drive away on. You can get your credit approval instantly through our website, or over the phone, or in person. Whatever your preference we make it easy and affordable. Our friendly finance managers work with people from all over including Union City, Atlanta, Riverdale, Jonesboro, and more to ensure our customers get the right finance program at the most competitive rates. We strive to work with each customer to ensure their satisfaction. We have financed customers from Fayetteville to Fairburn. Whether you are right down the road or an hour away from Union City, we look forward to serving your automotive needs today!